While the exact details of the visa are not known, Federal Agriculture Minister David Littleproud has said delivering a special agriculture visa for the current picking season is his key priority. Jaswinder Singh Mavi and his family own 300 acres of orange farm land on the outskirts of Griffith in New South Wales’ Riverina region. The Mavis are just out of what they call a very stressful and busy picking period that lasts from May to August. “One of the biggest issues for us is sourcing workers during this extremely busy season,” says Mr Mavi who is a prominent figure in Griffith’s Sikh community. He says the family often has to rely on labour sharing contracts with friends and relatives to see them through the season. “Our family owns six farms and we share the labour amongst ourselves and we seek help from our relatives in Melbourne and ask them if they know anyone who needs work. But it’s difficult to work that way. “But in spite of doing all this, at times we aren’t able to pick fruit in time and if the weather takes a turn for bad before picking, it just rots on plants,” Mr Mavi tells SBS Punjabi. He isn’t the only farmer facing these issues. Currently, the farmers are sourcing seasonal workers using a variety of visas, including season worker program and working holiday maker visa which at times lead to several complications. Growcom, the peak representative body for the horticulture sector in Queensland, says the current visa settings aren’t right. “We have a situation whereby many overseas workers come here and work illegally,” Growcom CEO David Thompson argues in a blog for Fairfax Media. Mr Thompson said they would love to hire Australians but the “volatile” nature of the industry made it hard to employ locals for the job. Uneasy over the uncertainty over the availability of labour, the farming sector has been demanding a special visa for the agriculture sector, which now seems close to reality with Federal Agriculture Minister David Littleproud throwing his weight behind the farmers. “Agriculture has a huge shortage of labour, particularly for picking, and an ag visa can help address that,” Mr Littleproud said. “We need a specific farm visa so farmers and those who want to work on farms don’t have to wade through multiple different types of visas,” Mr Littleproud told SBS Punjabi. Australian farmers are seeking a short-term multiple-entry visa without any labour market testing or requirement of sponsorship with the workers being allowed to move between employers within the agriculture sector. Mr Littleproud recently indicated that the agriculture visa could be made available soon. “When I became Agriculture Minister last December, I made it a key priority to deliver an agriculture visa for this picking season,” he said. Orange farmer Jaswinder Singh Mavi. Mr Mavi says a stand-alone visa for the agriculture sector will be helpful for him to secure the right workers suited to his needs. “Now even if we are able to source foreign workers, language is a huge barrier between the employer and the worker. If this special visa is started, we would like to have people from Punjab come here and work for us,” he says. Farming industry bodies have demanded that there should be no requirement for labour market testing and it shouldn’t be employer-sponsored. “We contend that only employers who demonstrate sustainable workplace practices should be able to access visa workers and one mechanism to achieve this would be through the Fair Farms certification scheme,” Mr Thompson said. The Department of Home Affairs says the Government is committed to supporting the skills needs of regional Australia and is always looking at ways to improve the migration system. "Australia’s immigration needs aren’t the same in all areas, and policy should take that into account," Immigration Minister David Coleman told SBS Punjabi. "Where the system can be improved to better match immigration patterns to needs in specific locations, we should do that. 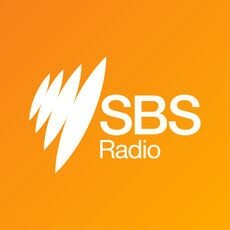 In particular, we need to look closely at ways of filling employment gaps in regional areas," Mr Coleman told SBS Punjabi.